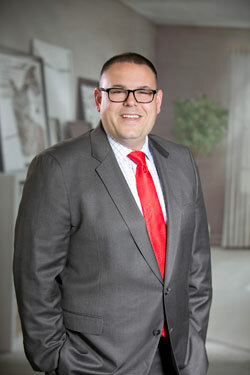 Jason Van Hemert spent several years as an attorney and advocate for residential real estate owners, specializing in mortgage modification, short sales, and foreclosure defense. The insights and expertise he gained through this work, particularly through the bulk of the recent mortgage market crisis, positioned him perfectly to transition to a career in residential sales and rentals. Jason prides himself on being a staunch champion for his clients’ interests during each stage of their transaction, listening closely to their needs and input. He employs his breadth of knowledge and exceptional communication skills to give both buyers and sellers a solid, straightforward understanding of the often complex issues involved—inspiring confidence and a lasting, productive working relationship. Jason also has experience in home construction and renovation, having worked for his father’s real estate development company and implemented several updates to his own home. As a prior North Shore resident and a current Park Ridge resident, Jason brings particular knowledge of the north and northwest Chicago markets, including both city neighborhoods and suburbs. He continues to offer comprehensive advice for distressed homeowners, and has lectured to Chicago-area real estate attorneys, brokers, and other professionals on strategies to serve such clients in need. Outside of his work as a broker, Jason enjoys participating in an array of trivia competitions—once achieving the distinction of Rolling Stone’s national Rock N’ Roll trivia champion—and spending time with his wife and two children.